No matter how you celebrate, the holiday season is always a special time of year to bring your family together to create memories that last a lifetime. Whether your family has always celebrated Christmas in Gulf Shores or you want to start a new holiday tradition this year, you can plan a family vacation that everyone will love. And, we want to help. Here are a few of our best tips and tricks to planning a getaway for Christmas in Gulf Shores! You can download our free Vacation Guide for even more recommendations of things to do in Gulf Shores, AL with your friends and family. 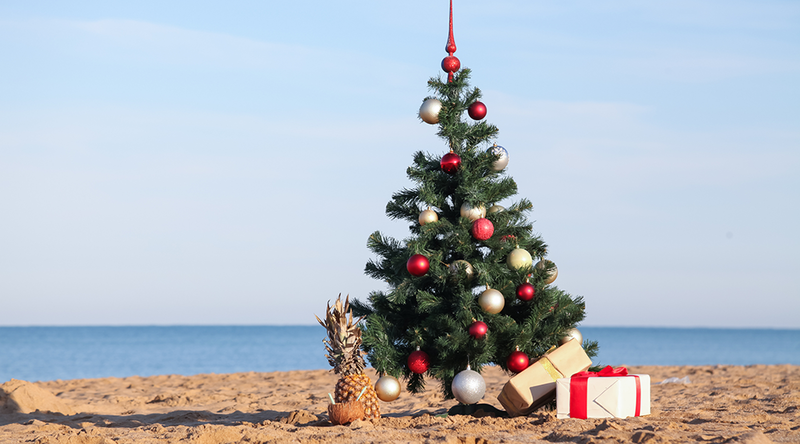 It's full of our best recommendations for great ways to enjoy Christmas in Gulf Shores! If you're traveling with elderly or disabled family members, look for vacation homes with elevators. Or, if you're traveling with children, find a home with a private pool or hot tub that they will love. Some of them can even be heated in the winter! Want to spend a lot of time on the beach? Pick an oceanfront home with beautiful porches to enjoy. Planning to cook a big holiday meal? Pick a vacation home with a gourmet kitchen stocked with all the cooking essentials, stainless steel appliances, and seating for everyone. Consider the needs of your particular group, and search for a home that will accommodate everyone. If you do, we guarantee you'll enjoy a more relaxed, stress-free vacation! Let Us Help You Plan a Getaway for Christmas in Gulf Shores! Ease the burden of planning a holiday getaway for your family by making your reservations with us! Gulf Shores Vacation Rentals offers a wide variety of large vacation rentals that will meet every need you may have this holiday season. Our homes feature luxury amenities, high-end furnishing and decor, handicap accessible elevators, spacious living areas, and homes stocked with all the essentials you need to truly enjoy a seaside escape with your loved ones. Thanks to our beautiful beachfront homes with private pools, modern kitchens, and plenty of space to accommodate everyone, you'll have no problem enjoying a restful vacation and plenty of quality time with your loved ones. Browse our vacation rentals today and start planning a holiday getaway with us. Then, contact us! We'd love to help you find the perfect place to stay!